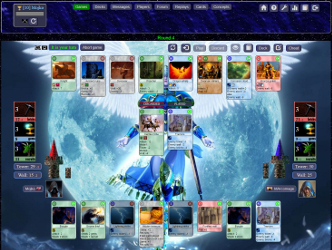 MArcomage is an online card game inspired by the classic Arcomage minigame. 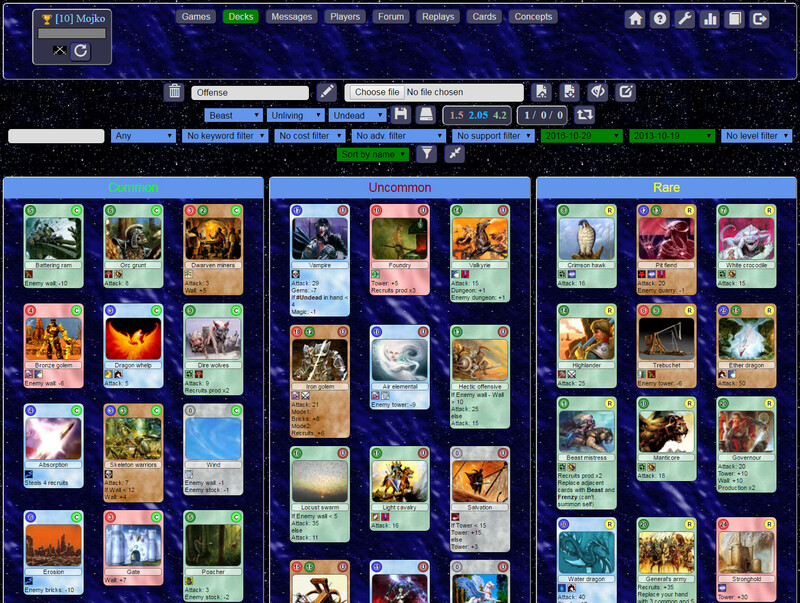 This card game simulates an epic battle between two empires, involving actions such as constructing buildings, training troops and attacking each other with armies, spells and intrigue. MArcomage brings the original game to the internet, greatly expanding on its ideas while preserving its apperance and core gameplay. To start playing, simply register an account and use the available match-making features. 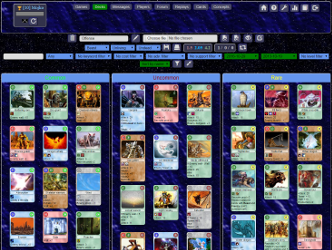 There are three starting decks to try out and get familiar with the game. Gaining experience unlocks access to the deck editor, card album, replay viewer, card statistics and more. irc://irc.freenode.org/#arcomage - irc channel, everybody's invited!